For the afflicted, acne is no laughing matter. A common condition which can lead to pimples, cysts and other blemishes on the face and upper body, acne affects 1 in 5 Canadian women and an alarming 90% of our teens, according to this acne information site. The website, funded by the Acne and Rosacea Society of Canada, also shows how acne is the most prevalent skin disorder in our nation. Although young people are more prone to getting acne than older people, the frustrating affliction does not spare any age, gender or ethnic group from its physical and mental effects. Estimates suggest acne afflicts almost 5 million Canadians. Although acne is not a fatal disease, it can be painful. The most damaging aspect, however, is in the mental anguish it produces in the afflicted. Thankfully, Envision Medical Spa offers a wide array of helpful anti-acne products as well as treatments which can reduce and even eliminate the annoying eruptions. We also have methods to erase much of the scarring which can result from a serious acne episode. Click the links for more information on each type of therapy. Envision Medical Spa is your trusted source for ZO acne treatments. View the link to see the full spectrum of acne fighting formulas. 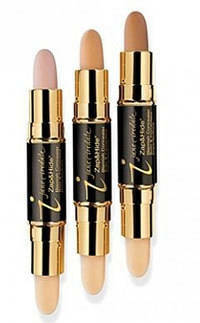 Here are two effective acne products available from Envision's epidermal experts and both come from the skin care laboratories of Jane Iredale. Similar in size to a compact lipstick, Zap&Hide is a unique dual purpose acne treatment that you can easily take with you. One end of the convenient applicator features a colorless balm which disinfects the blemish site to promote healing and prevent new eruptions. The other end of the applicator contains a concealer cream that covers over unsightly inflammation. 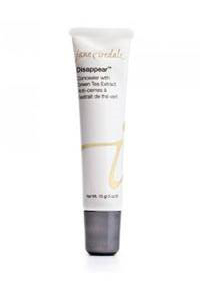 Disappear is another effective Jane Iredale acne treatment which not only reduces the visibility of acne blemishes but also helps eliminate the lesions permanently. The uses green tea extract in the formulation for a natural, non-oily finish. We do advise our clients though, that acne is an ongoing battle and it can take up to two months for treatments to begin to take effect. With patience, daily skin care and the expertise of Envision's healthy skin gurus, the battle against acne can be won. Call Envision today for a free, discreet consultation.